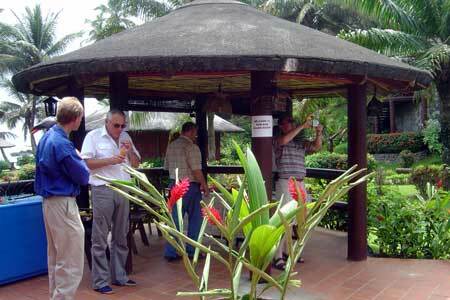 In our news paper, Sao Tomé and Principe were recommended as one of the world's last virgin spots. But CHEVRON did some successful oil drillings weeks ago near Principe, and therefore it was about time to visit this island, before the oil boom destroys this unspoilt part of nature. For permission of penetration and landing we called Advanced AIS Frankfurt for help. 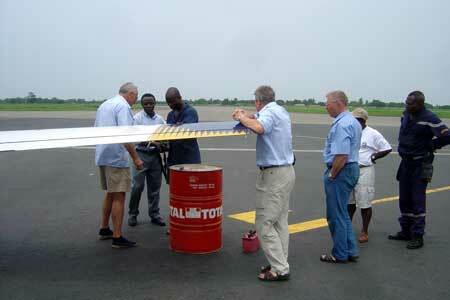 But first of all AAIS had to check the availability of AVGAS. The original plan to fly over Algeria as a short cut was turned down due to the lack of AVGAS, because they add a freight charge of USD 5.500 for a 200 litre drum on top of the regular fuel costs. Until we could adjust the routing to the AVGAS supply, Mr. Schmidt from AAIS gave us a preliminary report on the status of the permits. 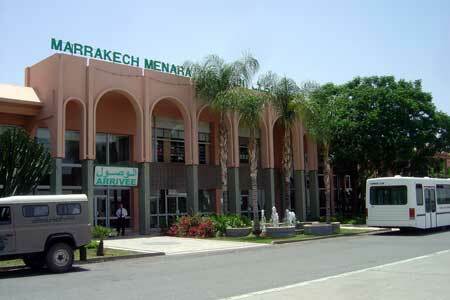 After all the troublesome preparation our departure date THU 06/03/04 had finally arrived. The first destination for the Frankfurt connection of the MMIG46 association (EDFC and EDFZ) was Menorca airport on the Balearic Islands. 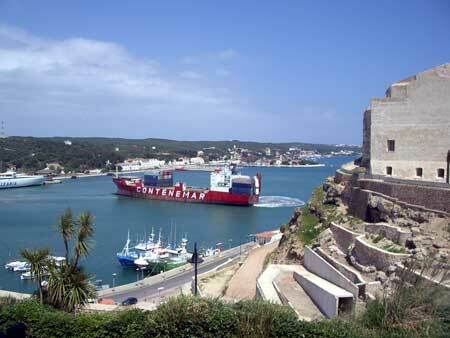 It was only a short walking trip from our convenient located city hotel in Mahon to numerous restaurants. After some tapas we were refreshed and took a city tour. 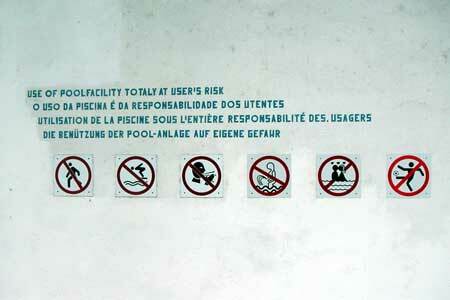 Today we were supposed to leave the European continent. On the airway G850 after passing BERUM we were under the responsibility of Casablanca Control, thus meant that we had arrived in the African continent. Even though the piston Malibu started at first, it was like the tale about the rabbit and the hedgehog, the JETPROP Malibu always arrived first. 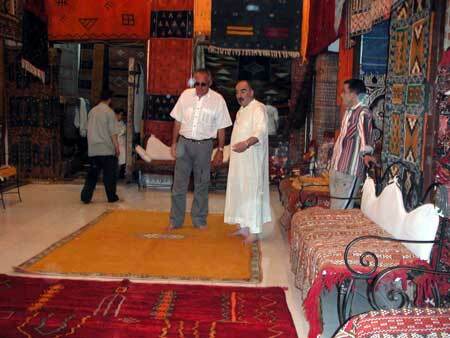 Marrakech, the city with the flair of 1001 nights was on our agenda with a visit to the Kasbah. The snake-charmers, jugglers, storytellers and traders gave us an entertaining afternoon. An early wake-up was on our schedule, because the NM 1403 (1164 and 239) had to be done. 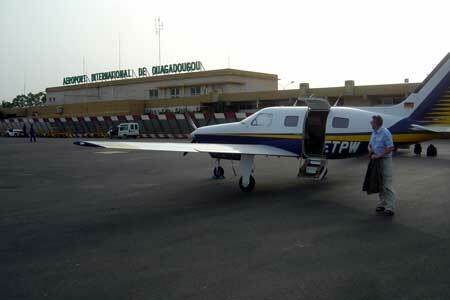 The JetProp had to make an extra refuelling stop in Agadir due to its cruising range. 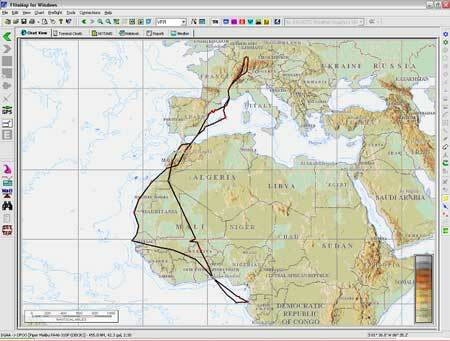 After Casa Control and Canaries Radar you only can reach the world by HF when cruising over the endless desert. 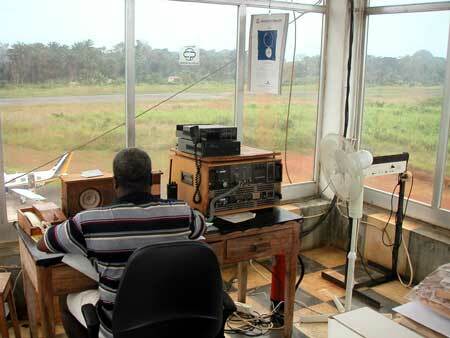 For this reason the IFBP (In Flight Broadcast Procedures) are a must in whole Africa. 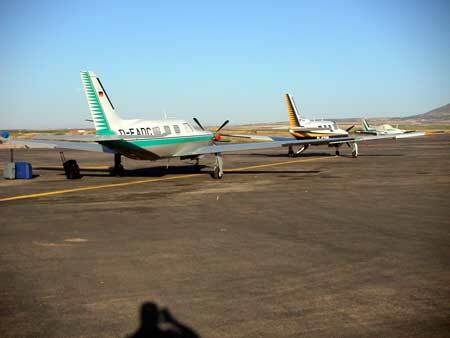 At 126.9 a blind transmission about FL, airway, direction and estimates will be given as information for other air traffic and against collision avoidance.In Mopti (Mahe) a refuelling stop at 38°C (100°F) in combination with high humidity was not a real pleasure. The JetProp had to be fuelled with JETA1 out of ground tanks like real air crafts, only the piston Malibu had to be fuelled into its wings out of the AVGAS barrels with muscular strength. The second leg with the NM 239 was literally the free style of the day. 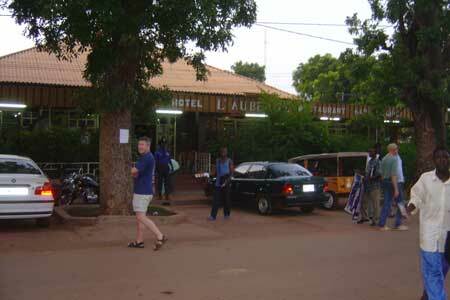 We had reservations in the Independence Hotel of Ouagadougou, capital of Burkina Faso, the former Upper Volta. We had to be careful with the transfer from the airport to the hotel - recently arriving whites could be ripped-off by the cab drivers paying a 10-times higher fare. 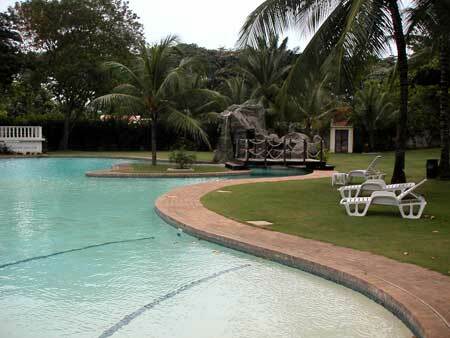 The hotel was located in the embassy quarter, but its heydays were over. 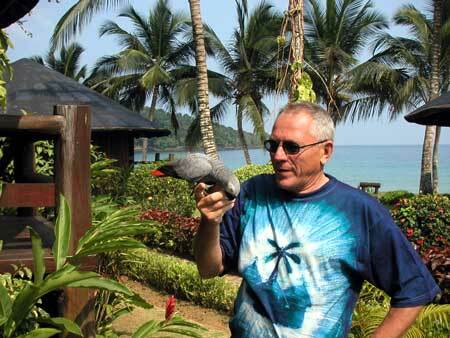 We planned two overnights, enough time to get to know the country and its people. The president of the local aero club made the hangar and the mechanics available to us and we could solve a problem with the piston Malibu's magnetos. Between the 4th and 14th north parallel, thunder cyclones drag in this time of year from East to West, with a limit up to 45.000 ft. and a diameter of some hundred miles. You have to have respect for this kind of natural phenomenon. After a refuelling stop in Lome (Togo) we had a little sample of a wind gust from such a cyclone (wind gusting from 0 to 30 knots in just 1 second). 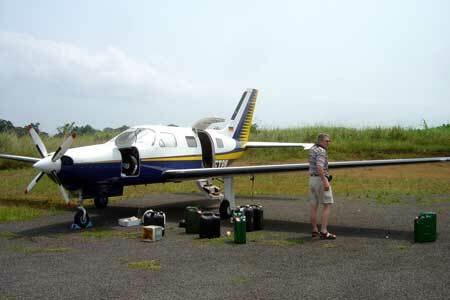 This meant that we had to hurry out of there as quick as we could to get smoother weather at our destination Sao Tomé, where the dry season lasts from end of May through end of September. Ahead of us there were three days of relaxation and recovering in the MIRAMAR, the island's best hotel - under German management, as you can see from the prohibition signs. We visited the tropical forest with enormous waterfalls, remote fishing villages and coffee, cacao, banana and pineapple plantations. A short 40 minutes flight took us to Principe, an island next to Tomé. 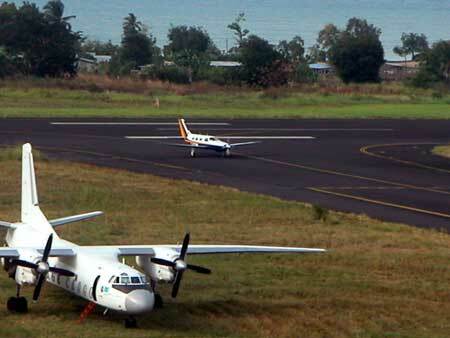 The 1.300 m long concrete runway is on a plateau in the middle of the jungle. The island is a pure paradise without any mass tourism. The manager of the BOM BOM Island Resort Hotel picked us up from the airport. With a four-wheeler he drove us along the gravel road descending from 584 ft. down to the hotel's bay at sea level (even a four-wheeler has to have chains in rainy season to drive on this road). And there it is, the bay with the finest sandy beach surrounded by coconut trees. 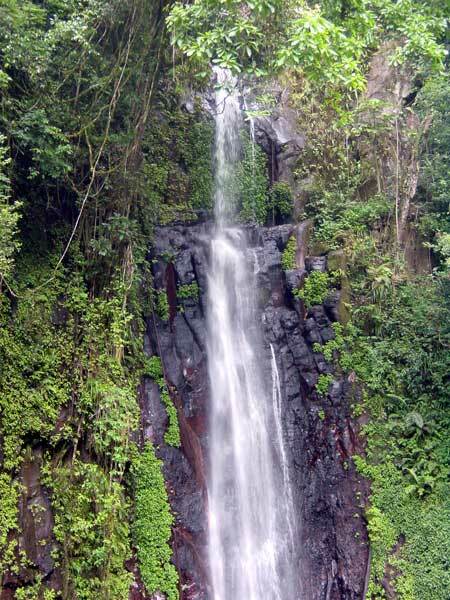 The marketing slogan from the web page www.sao-tome.com is not bragging about this beautiful scenery. The hotel's restaurant is located on the tiny island of BOM BOM. The island and the resort are connected via a long wooden bridge. 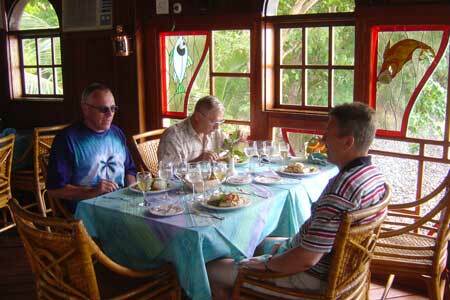 The chef created the very best dishes a gourmet could ask for with the freshest fishes and other sea food. This wonderful time passed by and the return flight had to be arranged for today. 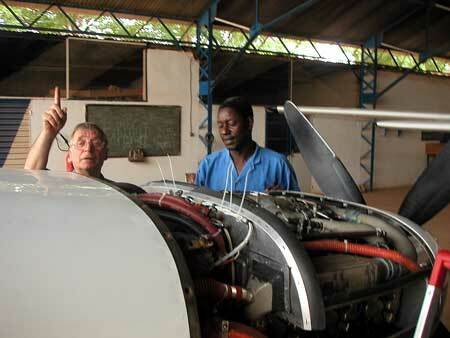 After landing in Lome, the crew of the piston Malibu got more than a shock. 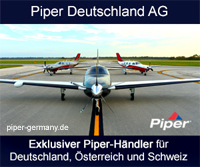 The airport authority, the "Bureau de Piste", told us, that since yesterday they had a NOTAM "No AVGAS". The airport manager, the "Chef de Piste", called every airport in the surrounding area for us and asked for 100 litres, alas, with no positive result. And what are we going to do now? 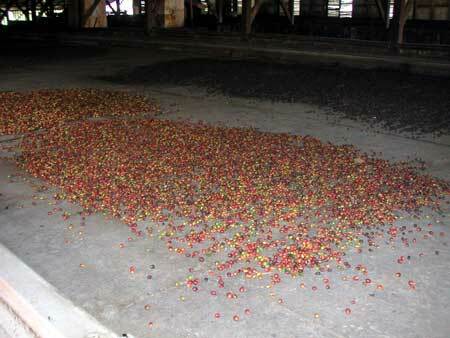 The regular supply will not be available for at least two months. 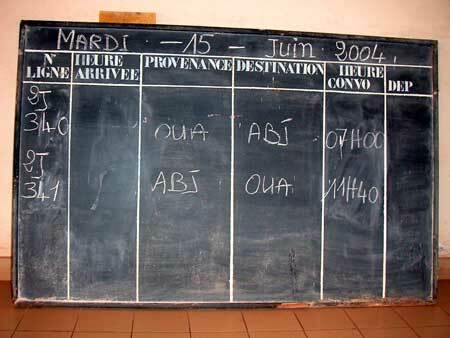 But a study of the bulletin-board at the airport gave us the solution. 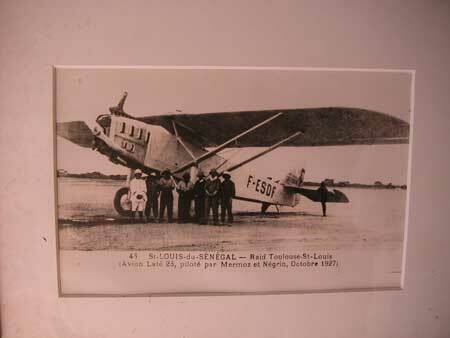 On the roster of the registered aircrafts with Lome as a home base, some "piston shakers" were also listed, which belonged to the local aero club. 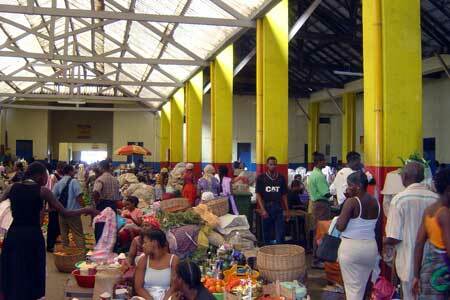 After a short negotiation the club was willing to sell us 100 litres for the special price of USD 3.00 per litre. 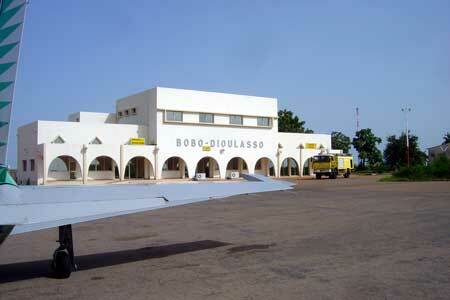 With these 100 litres and the left over we were able to reach Bobo Dioulasso as the next destination. 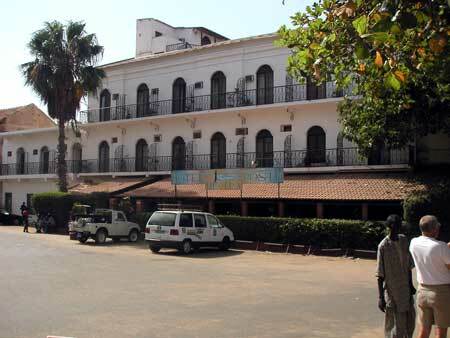 The manager from the Hotel L'Auberge, a descendant in 2nd or 3rd generation of the French Colonial era, had her hostel fully under control. And her cuisine exceeded all our expectations for this part of the world. After a heavy morning thunderstorm we continued our trip to the next stop Saint Louis in a clean, dust-free air. 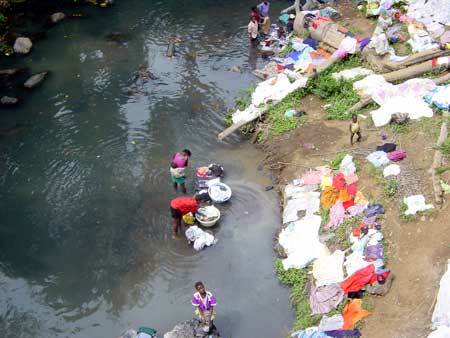 Until 1958 Saint Louis was the capital of Senegal and Mauritanian. The old pioneers of the airmail route to South America stayed over in the "Hotel de la Poste", to regain some strength before crossing the Atlantic Ocean. 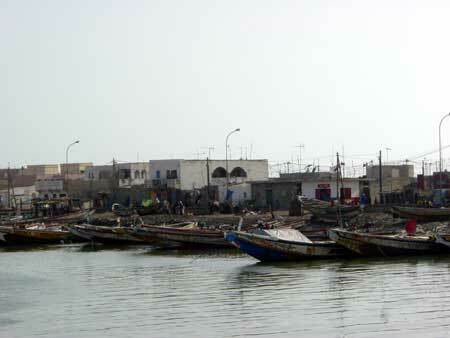 The Old Town of Saint Louis is located on an island in the bed of the Senegal River. From the buildings you can tell, what splendour and importance this city once had. 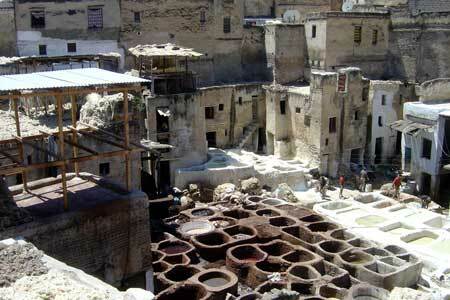 The last leg in Africa was to the city of Fez, one of the oldest settlements of Morocco. 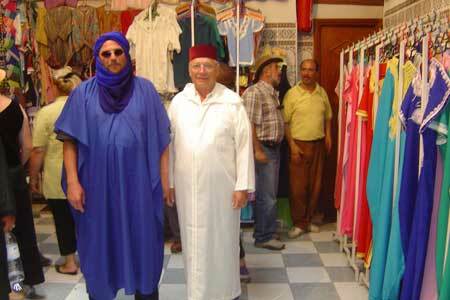 This city transfers its visitors to the Islamic medieval. Who ever has been pushed in the crowd through narrow lanes, whoever has been caught in a jam of donkeys, who ever has experienced the penetrating odour of the tanners, the scents of the spices or from small cooking shops and who ever has heard the insistent noise of the craftsmen, has been richly awarded. The treasures of the Moorish architecture have such an outstanding significance, that the UNESCO included the city of Fez in its roster of the World Heritage Site. The compact Old Town appears timeless, dominated by the minarets of the mosques with its roofs made out of green glazed bricks. Even today, Fez with its 770.000 people has a priority in the Maghreb, the western part of the Arabic world, due to its important role in history and culture. With the landing in Reus, civilization had us back. We spent the evening in a restaurant at the fishing harbour in the beautiful Old Town of Tarragona. At a great dinner we let all the impressions from our flights to Sao Tomé and Principe pass by and we talked about our exiting trip.